The story that has inspired folk songs and travel writing for over a century began in 1845, when British explorer Sir John Franklin set forth on a much-heralded Arctic expedition in pursuit of new scientific knowledge and hoping to find the Northwest Passage. Outfitted with two ships, HMS Erebus and HMS Terror, and a crew of 134 men, the Franklin expedition was, at the time, the best-equipped mission to venture into the Arctic waters. But three years later, Franklin, his crew, and his two ships still hadn’t returned home, prompting countless search efforts and capturing international attention. The Royal Ontario Museum’s (ROM) new interactive pop-up display, The Franklin Exploration, is your source for learning about this incredible story as it evolves in real time. The pop-up display, which will be featured at ten venues across the country, puts the mysteries of Franklin’s tragic voyage into a historical context of science and exploration, looking at reasons behind the expedition and clues from early search efforts, and connects you to contemporary Arctic investigation, presenting the methodologies and findings of ongoing scientific research in Canada's North. 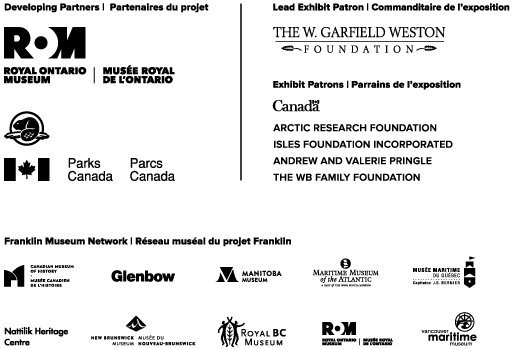 This nationwide display is the cornerstone of The Franklin Network Outreach Project, an innovative, three-year initiative helmed by the ROM, in collaboration with Parks Canada and the History Museums Network. The ROM and its partners will showcase cutting-edge technology and remarkable findings about the Franklin Expedition through special events, topical lectures, and inspired public programming. 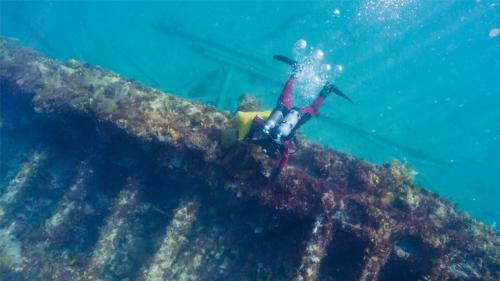 The Franklin Network Outreach Project will bring fascinating material to museums from coast to coast, sharing underwater excavations, traditional Inuit knowledge, and exciting new discoveries. During this time, some of the Franklin Network members will execute outreach work and move their pop-up displays to different locations and cities. For the latest locations across Canada, search for The Franklin Exploration by using the map below!